Do you need to get your office clean? Get your commercial and business properties cleaned today. Contact CleaningMaster Services for professional cleaning services in Melbourne. Your office cleanliness is a great asset to your company and has a huge impact on your business. CleaningMaster is a trusted office cleaning services based in Melbourne. 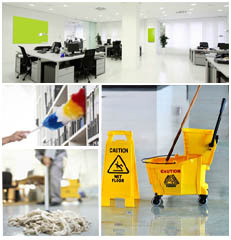 We offer affordable business/office cleaning packages to our customers. CleaningMaster Services is a leading Retirement Villages Cleaning services based in Melbourne. We are expert retirement village cleaners and have a competent cleaning team that is specially trained to clean different types of retirement villages. Our trained staff is experts in cleaning medical centers and nursing homes. We have all the right equipment and our cleaning contracts are customized to fit the needs of different clients. When you are looking for a professional cleaning services provider in Melbourne, look no further than CleaningMaster Services. We are a reliable and trusted cleaning firm that is specialized in Corporate & Office Cleaning, Retirement Villages Cleaning, Supermarkets & Shopping Centers Cleaning, Medical Centers & Nursing Homes Cleaning, Education and Child Care Cleaning. We have a professional cleaning team in Melbourne that is specialized in all types of cleaning. When you choose us, you are assured of high quality commercial and business cleaning services that will fit your budget. Reliable, professional yet always competitive. Office cleaning and Contract Cleaning for your premises. Our experienced team will leave your premise as clean as new. It is no wonder that we are one of the leading cleaning services company in Melbourne. Choose CleaningMaster Services to get value for your money and enjoy customized and affordable cleaning solutions for your house or office. The first impression that clients get about your office is crucial. You control the supermarket, we control the cleaning. Clean environment is essential to the academic development of any child. Medical centers and nursing homes need to be clean at all times.